Administrative Law Judge (ALJ), Dennis C. Brue, Office of Administrative Hearings, (OAH), Special Education Division, State of California, heard this matter on December 12, 2006, in Los Angeles, California. Student was represented by her parents (Parents), who were present throughout the hearing. Respondent Los Angeles Unified School District (District) was represented by Deborah L. Ungar, Esq. Lisa Kendrick, District Coordinating Specialist, was present throughout the hearing. On April 24, 2006, Student filed a Request for Due Process Hearing and Mediation. On June 6, 2006, OAH granted a Motion to Continue made by both parties. On December 12, 2006, sworn testimony and documentary evidence were received, closing statements were heard, the record was closed, and the matter was submitted. Does Student require additional adult assistance (AAA)1 during the entire school day to receive a free appropriate public education (FAPE)? 1. Parents contend Student is at risk for: a) falling and injuring herself; b) poor restroom hygiene; and c) unwarranted sexual misconduct by other students, or even the general public, because she is attractive and socially gregarious. Parents also allege that Student requires a full-time aide to assist Student in studying a more academic curriculum than she now receives. Parents argue that she has regressed academically without such an aide. 2. The District argues that its current educational program provides Student a FAPE in the least restrictive environment (LRE), and that she is in no serious danger of falling, injuring herself, engaging in poor hygiene, or suffering assault. The District also asserts that Student has made adequate educational progress in her current placement. 3. Student, age 17, was born on August 19, 1989. She is eligible for special education services on the bases of Mental Retardation (MR) and cerebral palsy. 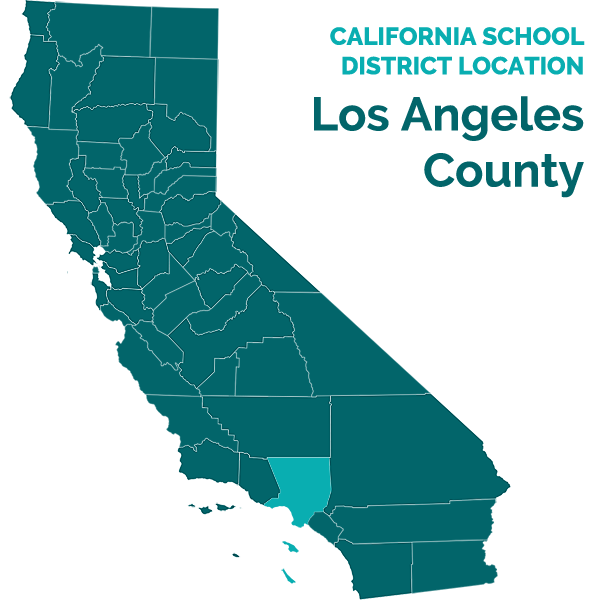 Student resides within the District’s boundaries and attends Abraham Lincoln High School, in Los Angeles. 4. Children with disabilities have the right to an educational program designed to meet their unique needs and to prepare them for employment and independent living. A school district must furnish an educational program that provides a basic floor of opportunity in the least restrictive environment. 5. Student’s MR affects her ability to apply conceptual thought2, keep track of various tasks, make accurate generalizations, and comprehend the connection between letters, sounds, and words. Student’s cerebral palsy affects her mobility; she wears ankle foot orthosis (AFO) braces on both ankles and has difficulty lifting her left leg over a few inches. She can, however, walk laps on a track and fully engage in other adaptive physical education (APE) activities in a small group setting. 1 In the District, a provider of Additional Adult Assistance was previously known as a one-to-one aide. The District’s terminology and concept of adult assistance are currently in flux. Adult aides are now responsible for the greater well-being of their special education classes rather than just that of the specific students to whom they are assigned. 2 For example, Student has difficulty with the concept that a nickel and four pennies equals nine cents be-cause a nickel represents five pennies. 3 Ms. Lopez has a B.A. in Physical Education and a master’s degree in education administration. 4 Mr. Wilkins has a B.A. and a master’s degree in special education. 6. Student’s Individualized Education Program (IEP) team last met on April 18, 2006, for an annual review of Student’s IEP. The IEP team determined that to address Student’s deficits and to allow her to access her educational curriculum, she would continue her full-time placement in Lincoln High’s Community Based Instruction (CBI) class, with an hour of APE on Tuesdays and Thursdays. 7. Lincoln High’s CBI class teaches an alternative life skills curriculum that attempts to foster relative independence in its students. The class enters the local community on a weekly basis, using public transportation to access shopping malls, laundromats, and other public locations. Upon arrival, students are given tasks to perform such as pricing or shopping for specific items, washing laundry, eating, and other similar activities which are performed in small groups with adult supervision. The CBI class has one teacher and nine adult aides, for a total of 10 adults for 12 students. 8. Lincoln High’s APE class meets twice weekly to provide students with individualized APE. It contains 19 special education students, all of whom are ambulatory to varying degrees. The APE class has one teacher and seven adult aides, for a total of eight adults for 19 students. 9. Student has fallen three times at school in the last two years. Last year, Student fell in the school gym while playing a game. This year, Student was bumped by another student during her APE class and fell to the ground. Student again fell while crossing the street in her CBI class. None of these incidents resulted in injuries requiring a visit to the nurse’s office, though Parents recalled some resultant scrapes on Student. In another incident, Student began to fall backwards on the steps of a bus she was boarding, but her CBI teacher, Mark Wilkins, was directly behind her and put his hand on her back to steady her. 10. District APE teacher Janice Lopez3 explained that she personally assessed Student’s mobility for the April 18, 2006 IEP team meeting. She acknowledged Student’s difficulties with balance and coordination. However, Ms. Lopez believes Student is managing quite well. Student is able to walk five or six complete laps (more than a mile) around the school track in approximately 30 minutes. The school’s track and field facility can only be accessed by climbing several sets of stairs, which Student is able to do without incident on a weekly basis, by holding on to the railing. 11. Ms. Lopez notes that an AAA would have prevented Student from getting bumped or falling during a game, when aides are in the vicinity, but not on the playing field or track itself. This allows the students to help themselves when necessary and fosters self-reliance. 12. Student did not prove that she needs an AAA to prevent injury from falling. The facts indicate Student rarely falls, and when she does, she does not significantly injure herself. 13. Student intermittently uses the restroom alone or in the company of another female special education student. Parents contend these practices invite improper hygiene, but there was no evidence that this had actually occurred. Student is 17 years old and has been managing her toileting by herself for the last six years. Student did not prove that the District’s practices create any particular risk that she will engage in improper hygiene. 14. In addition to visiting the toilet alone or with another student, Student sometimes runs errands at school alone, such as taking classroom attendance forms to the administrative office. Parents fear that these practices expose her to potential physical or sexual assault. However, there was no evidence that such an assault has occurred, or was likely. 15. The District’s CBI teacher Mark Wilkins4 explained that he uses a “peer support” methodology when his special education students are out in public. He pairs two students together whose strengths compliment each other. For example, he pairs Student with another female special education student who has both MR and autism, but no orthopedic disabilities. The girls perform assigned tasks and use the bathroom together. 16. Mr. Wilkins and nine trained AAAs accompany the CBI students in public. Wilkins explained that due to frequent medical absences, there are often more aides than students. Some of the students have disabilities so severe that their aides must devote their full attention to their charges, despite the District’s newest policy about aiding other students in the class. However, the students are usually in small groups and are amply supported by the AAAs. Student did not prove that she would be any safer with a full-time AAA than with Wilkins and the nine AAAs who support students in his class. 17. Student does not take academic classes because she is in the CBI class. In the CBI class Student learns practical applications of math and reading. Student is taught to count money and make change, locate and price items at the mall, garden, navigate curbs, safely cross the street and use public transportation. Student’s Parents are concerned about Student’s academic achievement. When dealing with MR, a basic educational curriculum is generally accessed through a Mild/Moderate Mental Retardation (MRM) special day class. Such a placement is made by the IEP Team based upon Student’s assessments and the teams experience and judgment. The issue of an adult aide to assist with Student’s academics would also be made at that time. As Student currently is not in an MRM special day class, an AAA has no relation to her academic progress. 18. Parents appear to assume, that if Student had her own AAA she would be tutored in academic subjects such as math, spelling, and writing. However, the AAAs in the CBI class support their students in the activities of that class, not in the study of academic subjects. The District offers a MRM class in math, and if Student were enrolled in such a class and had an AAA, the aide might assist her in that subject. But Parents have not asked that Student be enrolled in such a class, nor have they challenged her current placement. 19. Student’s April 1, 2006 IEP assessed Student’s performance levels as showing improvement and measurable academic improvement in the following areas: counting money, making change and identifying what a given amount of money can purchase; observing jobs in the community and listing job skills associated with them, copying items from the blackboard with 80 percent accuracy, and reading her name and other four letter words. Student also met her physical education goals from the prior year. 1. Petitioner, as the party seeking relief, has the burden of proof. (Schaeffer v. Weast (2005) 546 U.S. 49; [126 S.Ct. 528, 163 L.Ed.2d 387]). 6. To determine whether the District offered Petitioner a FAPE, the analysis must focus on the adequacy of the District’s proposed program, not any proposed alternative. (Gregory K. v. Longview School District (9th Cir. 1987) 811 F.2d 1314.) If the school district’s program was designed to address a student’s unique educational needs, was reasonably calculated to provide him some educational benefit, and comported with his IEP, then the District provided a FAPE, even if his parents preferred another program and even if his Parents’ preferred program would have resulted in greater educational benefit. 7. To summarize Rowley and its progeny, in order to constitute an offer of FAPE, the educational program offered by the District must meet the following four substantive requirements: (1) be designed to meet the student’s educational needs; (2) be reasonably calculated to provide the student with some educational benefit; (3) comport with the student’s IEP; and (4) provide the student with an education in the least restrictive environment. Does Student require additional adult assistance during the entire school day to receive a free appropriate public education? 8. Factual Findings 14-17 establish that while Student’s balance is a problem for her, she rarely falls and has not significantly injured herself. In addition, an AAA would not preclude Student from falling. Student failed to prove that she cannot receive a FAPE without an AAA to assist her in overcoming her mobility limitations. 9. Factual Finding 19 establishes Student regularly utilizes the restroom alone and with another special education student without incident. An AAA would be of no more assistance than the people and procedures currently in place. Student failed to prove that she cannot receive a FAPE without an AAA to assist her with her hygiene. 10. Factual Findings 20 and 21 establish Student is constantly observed at school and in public, and is under the care and guidance of her teachers, peers, and the AAAs in her special education class. Few opportunities for misconduct, if any, are present. There was no evidence that Student has ever been assaulted. Student failed to prove that she cannot receive a FAPE without an AAA to protect her from sexual or other assault. 11. As noted in Factual Finding 22, Student’s contention regarding academics is not relevant herein as Student does not attend academic classes at this time. 12. Based on Factual Findings 23 and Legal Conclusions 4 and 5, Student’s current placement and special education services comport with the legal requirements of the IDEA by providing Student tangible educational benefit with instruction in real world tasks and settings. Student’s request for an additional adult aide is denied. Pursuant to California Education Code section 56507, subdivision (d), the hearing decision must indicate the extent to which each party has prevailed on each issue heard and decided. The following findings are made in accordance with this statute: The District prevailed on the sole issue heard. IT IS SO ORDERED THIS January 4, 2007.